The development of the Internet of Things (IoT) has created several doubts when it comes to its use, security, safety, and social well-being. The modern technology has been slowly approaching this futuristic society for the last decade. The envisionment of “smart cities” and “smart homes” has inspired companies and technology developers to create a society based on smart appliances, that facilitates the ordinary day of a human being. Modern society is questioning the impacts of a smart city and a smart home especially when it comes to privacy, in a world were leaked pictures, documents, and personal information is the common factor. What is the IoT and how does it work? 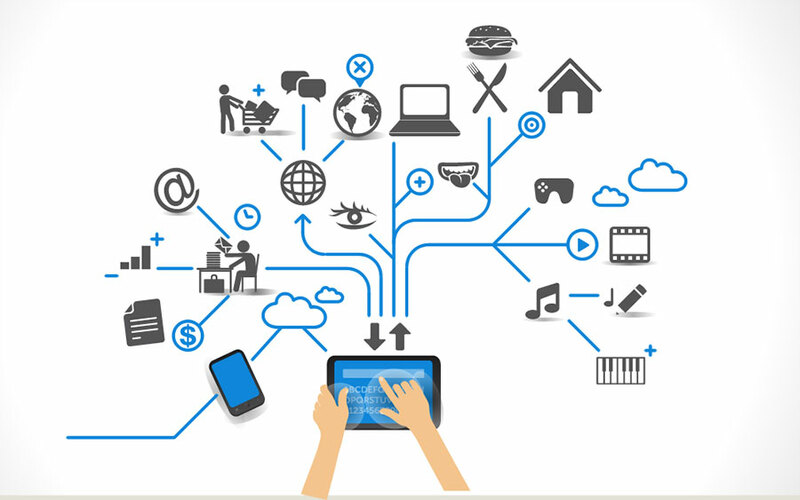 IoT is a network of physical objects interconnected with each other. From appliances to devices and vehicles, all connected through electronics, softwares, sensors and WiFi connection. The interconnection between this “things” allows them to exchange data with one another. It is believed that this is the structure of future societies. IoT allows the control of these objects remotely, tightening the gap between the physical world and the electronic world. Internet experts have hoped the interconnection of things leads to a more technology-based society. However, a “smart city” is not expected to happen until at least 2020. Experts assure it will consist of at least 50 billion intelligent objects. The concept of “things” in the IoT term is very wide, and it could reach as many things as the human eye can envision. From heart monitoring implants to cars with built-in sensors and DNA chips to monitor the human body. Technology has already developed some of this so-called “things” such as smart thermostats and dryers that work thanks to a WiFi connection. The first discussion of IoT, in its broadest approach, was in 1982 when Coke modified one of its soda machines at Carnegie Mellon University, that reported its inventory and if the drinks were cold. Starting the 1900’s, several discussions of an interconnected system were discussed, yet it wasn’t until 1999 when IoT really started taking form with the Device to Device Communication (D2D). Bill Joy was the first to address the matter at the World Economic Forum. Society has always feared the development of technology. According to an article published by TechCrunch, humans have always been afraid of technology eliminating their jobs. “Look at the birth of steam engine. When it was invented in the late 1700s, people believed its arrival signaled the end of manual labor and thousands of hardworking individuals would be out of jobs,” reads the article published by TechCrunch. The industrial revolution leads humanity to a larger development, creating a greater amount of jobs in different industries replacing steam engine labor jobs and attributing them to designed machines. This development is occurring with the IoT, as several manual jobs have been replaced by drones, robots, and machines. Instead of eliminating jobs, it has orientated workers to new industries or greater developments. The Internet of Things is creating new job opportunities. Recently, Target released a job seeking publication, asking for a Lead Engineer for Internet of Things. The main description of the job read “building innovative IoT solution for consumers”. Other positions on the matter describe the evolution of the IoT as “doing what we are doing but ‘better, faster and cheaper,’” which means creating devices that facilitate everyday actions. This has already happened in history with horses vs. cars, for instance. There are already several companies developing articles and appliances that relate to the concept of IoT. Whirpool, for example, is already selling its line of smart home appliances, including the NEST smart learning thermostat, that works with a WiFi connection and connects with washers and dryers making choices for clothes fabrics and energy care. This device can be checked through a smartphone, thanks to an application that allows remote control of the smart appliances. Samsung has also developed smart devices to create a “smart home” which includes refrigerators, ranges, microwaves, dishwashers, laundry, and vacuums. In 2020, there will be around 20.8 billion devices, according to Gartner, Inc. Other research estimates around 30 billion devices for that year. Despite the technology advances on smart home appliances, several other developments need to be made to protect users and personal data. IoT security is a must, when discussing a smart city. IoT security will be able to encrypt communications and data and prevent possible hackers from accessing private information. An analytic program will have to be developed to read and explain the data compiled by the devices. Management for the information collected will be needed, such a TechCrunch’s’ recommendation of a Chief Internet of Things Officer, that can manage and supervise the well implementation and functioning of the devices. IoT is definitely the future of modern day society and according to experts, in less than four years, we could be facing a community living in an IoT-based city.